You can’t go wrong with potatoes and cheese at a kid’s party. Add this lip-smacking dish to your list of birthday party snack ideas. ⏩Combine the potatoes, salt, and pepper in a bowl. Mix well. ⏩Mix the cheese and the chili-garlic sauce in another bowl. Divide this mixture into equal portions and shape each portion into a small ball. ⏩Press a little in the centre of each round to make a depression. 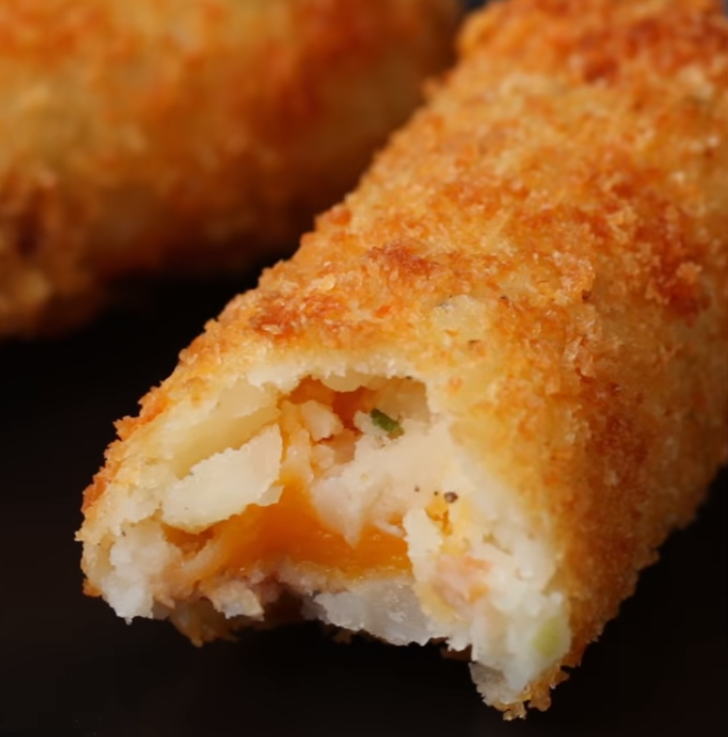 Place 1 teaspoon of the cheesy filling in the depression and again shape them into cylindrical croquettes. ⏩Combine the plain flour with ¾ cup water and mix well, until there are no lumps. ⏩Dip each croquette in the plain flour-water mixture and roll in the bread crumbs till it is evenly coated from all the sides. ⏩Heat oil in a pan on a medium flame, and deep-fry the croquettes until they are golden brown in color. ⏩Drain on an absorbent paper and serve.